Flight time 11 hrs 10 mins from the UK. 5 hrs from NYC. Gateway to Northern California (call it ‘NorCal’ if you want to blend in), San Francisco is the perfect starting point to your road trip up to wine country. You’ll be enamoured by the charm of this diverse city and, with its iconic snaking roads and views out to the bridges and Oakland beyond, you’ll embark on a trip you’ll never forget. Having arrived and refreshed after your flight it’s time to head out into the city and take in some sights. We’re sure you’ll be in search of food so we say pay a visit to the famous Tartine and pick up a killer sandwich. 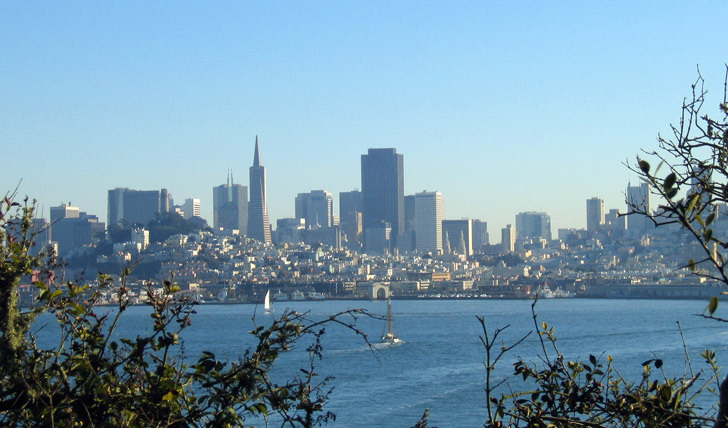 Afterwards, head to Dolores Park, a short walk away, and enjoy your foodie delights under the San Franciscan sun. From here we suggest you climb one of the winding hills and look out across the city to enjoy one of California’s finest vistas. You’ll have a view right out across the eclectic neighborhoods; Haight, Mission and Nob Hill. Mission has become a haven for food-lovers, so should you still be feeling peckish and in need of a sweet hit, head down to Humphry Slocombe for ice cream; flavors range from Bacon (yes, really) to the curious Peanut Butter Curry. Now for a slightly different view of the city. Wander down to the impressive Ferry Building Market Place, where you can step off firm ground and take to the waters; a private sailing boat ride under the bridges is a must. We recommend going at sunset when you’ll be able to see the changing light on nearby Alcatraz and SF’s resident sea lions bobbing in the glittering water. Artist Leo Villareal’s lofty design for Oakland Bay Bridge is certainly a rival for old favorite, the Golden Gate Bridge. Adorned with UV lights, expect a light show like no other, a dazzling way to end any day in San Francisco. Rising early, hop on a train; it’s time to head out east and experience the urban cool of Oakland. Coast over the bridge and, as the morning fog burns through, watch as the cityscape appears before you. Oakland is to San Fran, what Brooklyn was to Manhattan a few years back; low key and cool and brimming with an energetic new crowd. Far from sitting in the shadow of SF, Oakland has become one of the state’s hippest destinations; you can’t turn a corner in this town without stumbling across innovative eateries, prohibition bars, colorful houses and street art. For a spot of culture visit the iconic Fox Theatre, then stroll down towards the bay front at Jack London Square, stopping for a drink at the authentic wooden bar where Mr London himself spent many hours. For your caffeine fix, Blue Bottle Coffee is here to help. Established in Oakland, this coffee store can now be found across the US and we can see why it has been such a hit. Alternatively, if you’re after something a little bit stronger, set out on the Urban Wine Trail and discover California’s best tipples or, how about a beer tasting at the Linden Street Brewery? Regardless of taste, the buzz alone will excite you and introduce you to another side of California Cool. If the Urban Wine Trail in Oakland left you thirsty for more, you’re in for a treat. 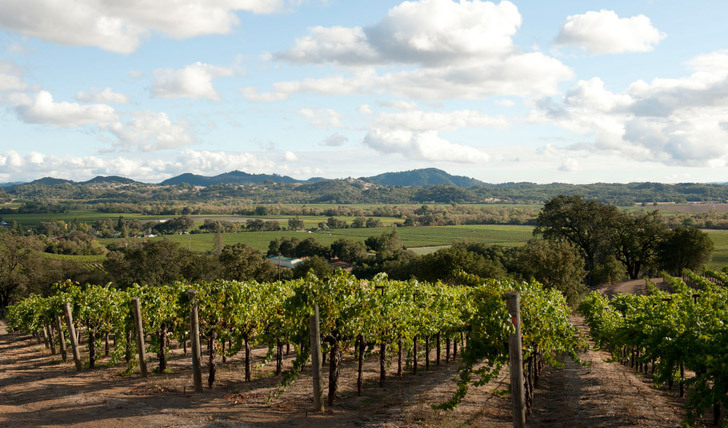 Just a couple of hours north you’ll find yourself in Sonoma’s seemingly endless wine country – stretching from the hills in the east, through the cooling redwoods and to the rugged coast beyond. A phenomenal landscape from up in a hot air balloon, the region is also easy to drive around. Nestled in amongst the sun-drenched vineyards and rolling golden hills you’ll discover a host of authentic, charming and yet sophisticated small towns. These are the perfect stop-off to get acquainted with the locals and the local produce before you move on to the more rustic pastures. We recommend a trip to Epicurean Connection in the town of Sonoma, where you’ll find a variety of cheeses (hand-made by the owner, Sheena) served with delicious chutneys and paired perfectly with wines from nearby. It would be foolish to visit the area without sampling a glass or two of Sonoma’s finest grapes. Hop in the car and explore the winding roads, stopping off at vineyards for tasting classes (remember: tasting, not guzzling). In the north of the region you’ll find Chalk Hill Winery, a refined yet friendly place set within hundreds of acres of beautiful countryside; a place where you can opt for a simple tasting or enjoy a three course meal with a flight of wines in their beautiful pavilion-style conservatory. You can even stop off at the herb garden to sample a few of the ingredients that are making their way up to the kitchen as well. Great food is a key part of life in Sonoma, not only because of the bounty they grow year round, but it also has to live up to the drink produced there. We can even book you a table at The Farmhouse’s Michelin starred restaurant one evening. Whether you’re after the gourmet experience, pure relaxation or adventure, Sonoma County’s diverse offering is waiting to be discovered.